Welcome to my Meet Christopher Corn page. 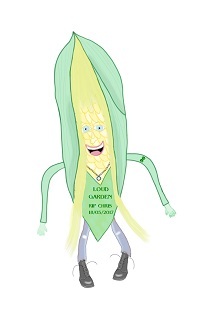 Christopher Corn is a member of Farmer Fred’s Fresh Veggie Family. He lives in Farmer Fred’s huge garden. Christopher came to life one stormy night after a thunder and lightning storm. Christopher has a very calm attitude. He can walk into a heated argument and just the sound of his voice will diffuse the situation very quickly. Christopher likes to experiment with different instruments. He loves music. His favourite instrument is the guitar. He has a voice like no other. He is the founder of the new rock band “Loud Garden”. For those Chris Cornell fans, I created the character, Christopher Corn, as a tribute to Chris Cornell. My hopes for my Christopher Corn character, is to keep Chris’ memory alive and also keep the good works that Chris has done alive as well. 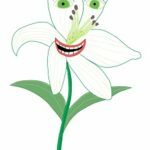 This entry was posted in Christopher Corn Stories, Fresh Veggie Family Stories, Meet the Characters and tagged Chris Cornell, Christopher Corn, Fresh Veggie Family, garden. Bookmark the permalink.